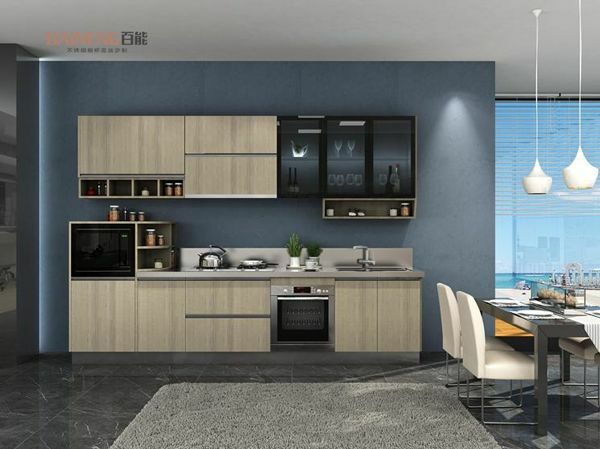 Modern kitchen cabinet factory-Baineng kitchen cabinets have developed 11 different aesthetic series of stainless steel kitchen cabinets for different audiences of all ages and social classes. What kind of person are you, what kind of kitchen you have. A person's kitchen highlights his positioning of life and determines his quality of life. In fact, the look of your kitchen is not related to size, rich or poor, or anything else, only related to the life you are pursuing. A neat and elegant kitchen with a lively fragrance will not only bring you a sense of honor and satisfaction in life, but also the ultimate expression of your spiritual outlook. It can make you feel good and can help you find countless memories about happiness. In order to keep the kitchen in a well-organized manner, reflecting the personality and the quality of life, you must choose the kitchen decoration style that suits you. Choose a set of cabinets like stainless steel kitchen cabinets according to your age, economic level, and social status. 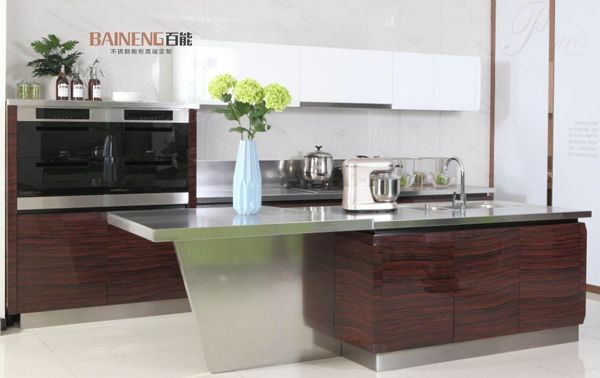 The shaped laser coating stainless steel series of Baineng kitchen cabinets is complex in the process, and it is exquisite in the details. It depicts a better quality than solid wood. It is both internal and external, comfortable and respectable. It is a cabinet also a design craftsmanship. To upgrade the honor of the successful people and the kitchen life to a new level. The simple and generous design makes it easy to clean up and make the search clear. Economical and suitable styles, young families with a shallow history of life need such cost-effective and functional kitchen cabinets. 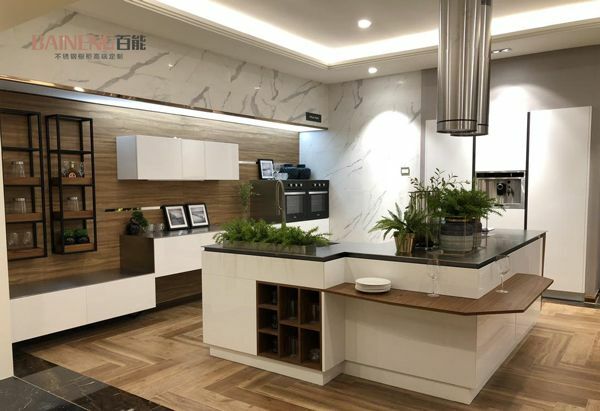 The brief and not simple design, stainless steel color, white and wood color match natural harmony, classic look, interpretation of modern luxury kitchen cabinets design life concept, is the best choice for high-level white-collar, elite and another intellectual taste user, the elegant housewives also love it.